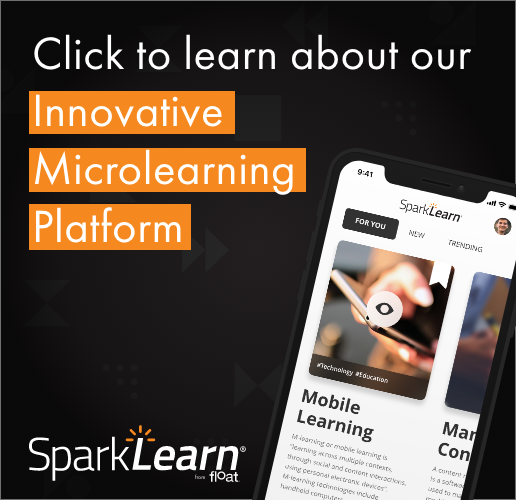 Float Managing Director Chad Udell joins two other recognized mobile authors, Steven Hoober and Clark Quinn, for an interactive panel discussion in which you get to ask the mobile experts as part of the three-day Interagency Mobile Learning Webinar Series. The moderator will begin the discussion with a number of questions crafted especially for the experts. Together, they will identify and discuss both the benefits and challenges in mobile learning and mobile design. This panel discussion will utilize a Google+ Hangout and will provide an exciting opportunity for the audience to ask the tough questions of these published authors and respected practitioners of mobile learning and mobile design. This session takes place Wednesday, July 17, from 1:15-2:15 CT. This three-day event is sponsored by Advanced Distributed Learning (ADL) Initiative, Combating Terrorism Technical Support Office (CTTSO), Defense Acquisition University (DAU), and U.S. Army Combined Arms Support Command (CASCOM) and Sustainment Center of Excellence (SCoE). During the webinar series, the winners for the ADL Mobile Learning App Challenge will also be announced. Another key highlight for the week’s events will be the unveiling of some key information gathered during the MoTIF study.